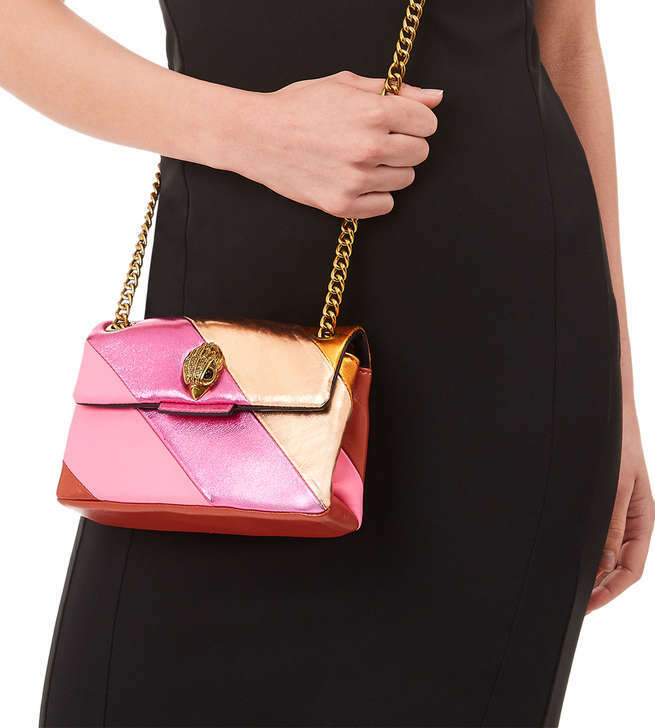 Kurt Geiger London presents the Mini Kensington S Bag, the smaller shoulder bag style from our best selling Kensington collection. 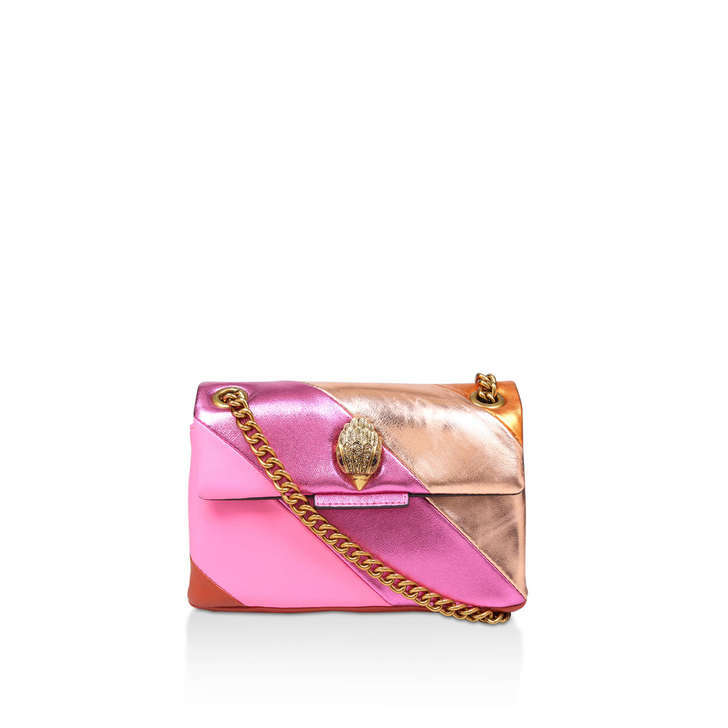 This stand out accessory combines smooth pink rainbow patterned leather with the iconic Kensington eagle embellishment. 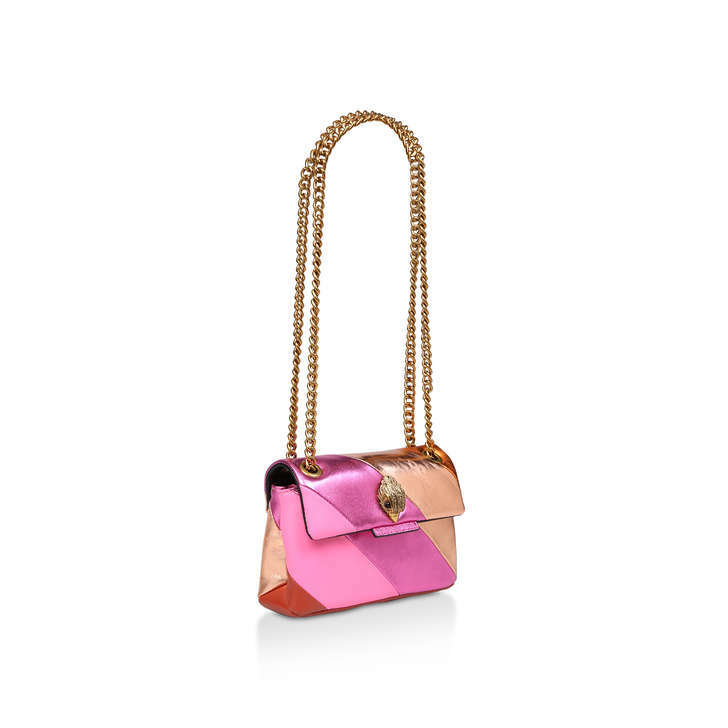 Compact and detailed, this leather Mini Kensington from Kurt Geiger London is just the right size to swing over your shoulder for statement evening accessorising. Height: 13cm Width: 18.5cm Depth: 5.5cm.